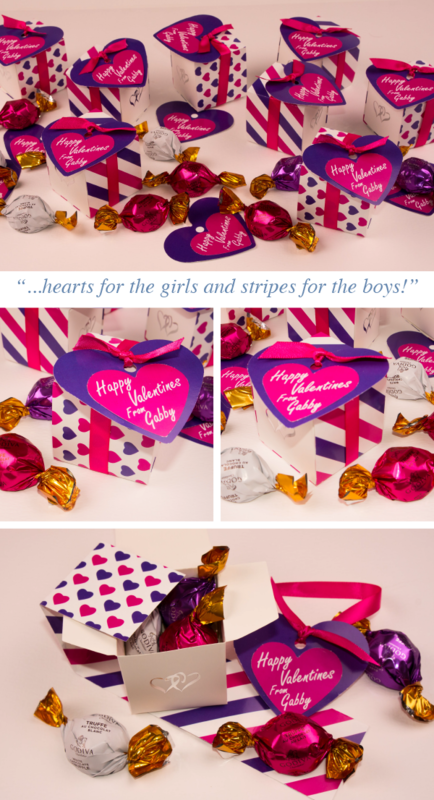 How fab are these custom Valentines boxes! We had so much fun helping our client and her daughter create her own custom Valentines for school. We chose favor boxes because they are great for any occasion. So, with a blank canvas to start from we were able to apply favorite colors and patterns to create the perfect Valentine. She wanted the wrap to have two prints: hearts for the girls and stripes for the boys. Then adding a ribbon and layered heart tag gave this Valentine its’ wow factor! I love how adorable the Valentines turned out and how excited this little girl is to share them with her classmates. This is one of those projects that make our job here at Ann Elizabeth so rewarding!